Is One MMO Enough for a Studio? CCP was on the cusp of becoming a respectable multi-MMO studio, but then it jettisoned World of Darkness and pledged undying loyalty to the EVE universe. Syp, MMO studio report card: Where are our leaders? Syp had a post a while back about MMO industry leadership that had a strongly implied and, to my mind, not well supported assumption about what such leadership amounts to. Subscribers/customers wasn’t a factor. Not to pick on Syp, but he does tend to see the negative in all things Blizzard, so he would have to either throw that out or say something nice about Blizz. The latter may have stuck in his throat, thus leadership has nothing to do with audience size or the influence that goes with it. Nor does it have anything to do with who is following whom, a simple definition of leadership. That way lies madness… or Blizzard again. Lots of people have been following Blizzard, adopting features haphazardly over time like EverQuest II, setting themselves up as alternatives with “WoW Plus” games like Rift at launch, or just copying chunks the game wholesale like Alganon. Whether or not World of Warcraft being viewed as a leader… it is by outsiders if nobody else, and they seem to have all the money… has been good for MMOs over the last decade is an open sore of a topic. Are the stifling aspects of Blizzard’s behemoth on the industry (go into any MMO beta and count the number of times somebody is essentially complaining in general chat that the game in question isn’t WoW) worth the players that WoW brought into the genre and who went on to play other titles? So goes the debate. No, the only aspects that seemed to count on his list was having multiple MMO titles in play and who was making new MMOs. But are more MMOs better for a company or not? And do more MMOs really mean leadership? Perfect World Entertainment, which includes the perennially troubled Cryptic Studios and the “disappeared off the map for two years and not making a Torchlight MMO” Runic Games, has many MMO titles available. However, aside from the output of Cryptic, their titles tend to be Asian imports that do not play well in the west. And even the Cryptic titles are not all that strong. Neverwinter has a following and some features of note, but I rarely hear much good about the rushed to market due to contractual requirements Star Trek Online and almost never hear anything at all about their “let’s remake City of Heroes” title, Champions Online. Maybe PWE isn’t a good example, especially when they are pointing at their US operations as hurting their bottom line. How about NCsoft? Again, they have a range of MMO titles from their home studio in South Korea along with titles from ArenaNet and Carbine Studios. Certainly GuildWars 2 is a strong candidate, though the financials indicate that the execs in Seoul will be forcing ANet to ship an expansion box to boost revenues. And all focus at ANet is on GW2, with GuildWars left to run out its days unsupported. WildStar though… I haven’t heard any good news there. And when it comes down to it, NCsoft gets most of its revenue from South Korea, and largely from its 1998 title Lineage. Meanwhile, it has closed a lot of MMOs, which could be bad news for Carbine if they don’t get their act together. Is this the multi-MMO company model we want others to follow? And then there is Funcom, which has shambled from disappointment to disappointment. They launched LEGO Minifigures Online a little while back which, true to Funcom’s history, has failed to meet expectations. Okay, maybe we should ignore all those foreigners and look at a US-centric company like Sony Online Entertainment. I love SOE, but at times they seem to be the MMO studio embodiment of Murphy’s Law. If they can do the wrong thing, they will, and in front of a live studio audience. Granted, they do tend to fix things in the end and do the right thing, but sometimes getting there is painful to watch. However, they are the US champion for a multi-MMO company, at least in terms of number of titles. But has this made them better or just spread them too thin? They have two flavors of EverQuest and a third on the way at some distant future date. There is Landmark… Minecraft for people who don’t like pixels, and the engine on which the next EverQuest will someday ride… in progress. They have PlanetSide, PlanetSide 2, and H1Z1 (Zombie PlanetSide) in development. And then there is the Asian import flavor of the month, previously Wizardry Online and currently Dragon’s Prophet. That list of titles feels like too much stuff, and all the more so when you consider that SOE also cranks out an expansion for both EverQuest titles every year. While those expansions mean revenue, SOE could be operating with as few as 50K subscribed players on EverQuest II and probably less still for EverQuest. That is a big investment in the past while we wait for EverQuest Next. Then there is Trion, which does a respectable job with Rift, which remains their best received title. But Defiance has been problematic. ArcheAge, which had the potential to be a big hit, has been mishandled. And then there is Trove, which seems to Minecraft for people who want bigger pixels and brighter colors. Multiple MMOs hasn’t been a stellar success for Trion. And, finally, on the US front there is Turbine which, inexplicably in hindsight given the size of the company, has the rights for Dungeons & Dragons AND Lord of the Rings and which has manage to turn both huge franchises into awkward niche titles. Other than that they have Asheron’s Call, the distant third of the “big three” break-out MMOs from the end of the 90s, and Asheron’s Call 2, revived from the dead because… I still don’t know why. I think it speaks volumes about Turbine’s outlook in that they are betting on a MOBA to save their flagging fortunes. Stack those up against companies with just a single MMO. Blizzard. Do I need to say more about the very, very rich company in Anaheim? One MMO has been very good to them. CCP. They seem to get into trouble only when they wander away from EVE Online. When they focus on their main product, which in the past meant stealing resources from World of Darkness, things tend to go well for them. EA. Okay, EA has three MMOs, but they bought two of them and have farmed them out for another company to run, leaving them with just the BioWare MMO, Star Wars: The Old Republic. It was never a WoW-killer, and it has its problems (roll stock footage about subscriber retention and selling hotbars), but it makes money. Not as much as EA would like, but that may be as much because Disney gets a cut as anything. That is the rub with a licensed IP, they come with more overhead. Zenimax. The Elder Scroll Online might be the weak point in the single MMO theory. I don’t know how the game is doing, other than things are still being fixed and that the console versions of the title, a big part of the plan, have been pushed out into 2015. And then there are the MMO-ish niche titles of the future, Star Citizen, Shroud of the Avatar and Camelot Unchained. Those are being made by small companies that can only afford to invest in a single game. And while those titles are playing the nostalgia card for all it is worth, they are also potentially mapping out new paths in the MMO world as smaller titles are able to do. All of which is just so much talk, punctuated with some admittedly unfair characterizations both of various companies and of Syp. I am not saying that companies should run one or multiple MMOs. Clearly some companies do well, or well enough, running multiple games, while others seem best suited to focusing on a single title. But I wouldn’t categorize any company as not being a real MMO player just because they only have one such title. This entry was posted in Blizzard, Camelot Unchained, entertainment, EVE Online, EverQuest, EverQuest II, Guild Wars 2, Shroud of the Avatar, Sony Online Entertainment, WildStar, World of Warcraft and tagged Just Rambling, No Real Point on December 1, 2014 by Wilhelm Arcturus. A New Player in Azeroth! The former group is mostly made up of those who currently play the game, those on a break but who know they will come back for the next expansion, and those who once played and still have some interest in the game and who might come back some day. The union between that group and the group made up of those who have played WoW would make for a Venn diagram that would almost completely overlap. Being a member of that first group almost requires that you have already played WoW at some point. The second group is more diverse. It includes people who played WoW and didn’t like it, or who felt betrayed by some change along the line, as well as those who don’t like the MMO genre, or didn’t like some other game in the MMO genre and are thus soured on it forever (EverQuest being the primary source of those people), or people for whom video games are pretty much a game console only thing, or, of course, people who just don’t play video games. Lots of those out there. Basically, nearly ten years into the life of World of Warcraft, most anybody I know who is going to play WoW already has. The pool of people who haven’t played WoW, but might at some point, has basically dried up. The other day a friend mentioned that he and his wife had started playing WoW. They downloaded the very limited Starter Edition, of which I wrote recently, rolled up trolls, and started in on Azeroth. He reads the blog occasionally, so I’ll have to ask if that post planted a seed. In hindsight, I suppose them picking the game up wasn’t a huge leap. They play Diablo III and StarCraft 2, so have Battle.net accounts already and probably the Blizzard Launcher installed as well. It is just a short step from there to having WoW installed. And they are both MMO players. He played EverQuest at launch with a big group of us from work way back in the day, though since then he and his wife have trended more towards free to play titles like Runes of Magic and Rappelz. Their free time can be “bursty,” with stretches of not being able to log on being common, which tends to make a subscription game something of a drag. You hate to pay if you aren’t going to play. 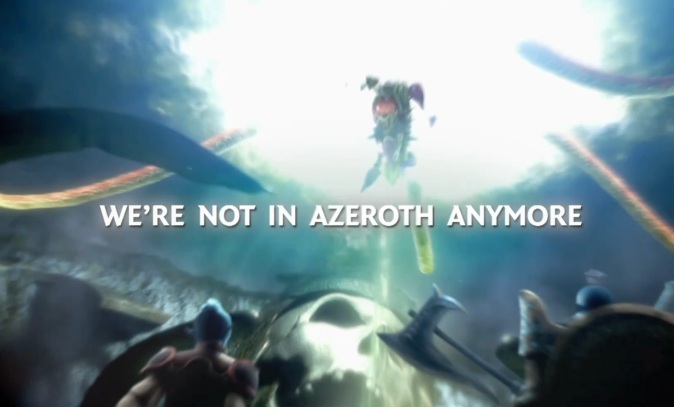 But the fact that they picked up WoW… so technically there are TWO new players in Azeroth… got me thinking again on the whole MMO lifecycle again. At the start an MMO is nothing but new players, and new players drive the game and are its life’s blood. You basically fizzle on the launch pad if that is not so. Then at some point there is a transition, a time when the audience for a game is primarily people who have played the game. New players are still important, but maintaining a loyal installed base becomes a primary mission. EverQuest has been in that zone for about a decade. WoW, while still seeking new players, is clearly past the tipping point and catering to the installed base, and keeping them subscribed is the primary business model. It is certainly no coincidence that housing (of a sort, in the form of Garrisons) is coming now, as Blizzard probably hadn’t felt the need to play that card until Cataclysm. Given their speed of development, it wasn’t going to happen for Mists of Pandaria, so Warlords of Draenor becomes the expansion where Blizzard finally responds to the realization that their business model needs people to settle down and live in Azeroth. The game needs to be a bit stickier. Dailies and faction and things like Timeless Isle aren’t quite enough if the content gaps are going to keep getting longer. As a group, we don’t jump to the next game so much. That Ultima Online, EverQuest, and Dark Age of Camelot remain viable, money-making enterprises in this day and age speaks to that as much as those of us who try the next new thing, only to return to the game we feel is home. It isn’t that the genre doesn’t have a big enough audience, but that MMOs are like sponges. They soak up players and hold onto them. Even after all these years sitting in a corner, EverQuest is still moist, just to push the sponge metaphor a step too far. Anyway, I was happy to hear about friends starting off playing WoW. I was careful not to smother them with a burst of welcoming gifts. When somebody is discovering a new world, it is often better to let them explore on their own rather than jumping out from behind a bush and shouting, “Come to this server! Join our guild! Have some free stuff from the guild bank! You should really go here and do this and kill that mob and get that drop and run this dungeon and blah blah blah…” I’ve killed games for people doing that, and have had the same done to me. So we shall see if a new seed grows in the game. What do you think? Do you know anybody who hasn’t played WoW who might still be interested in playing it nearly a decade into its life? 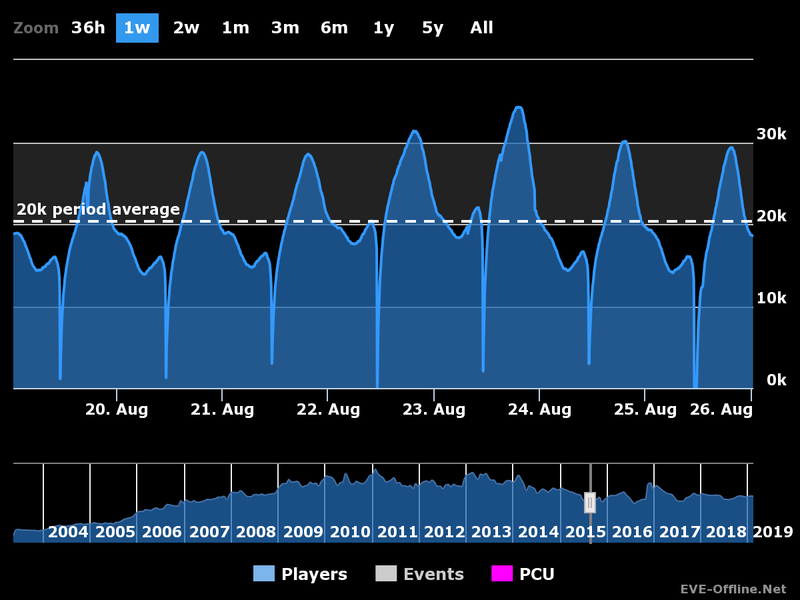 Addendum: Semi-related, something Noizy Gamer tweeted about WoW new player retention rates… from 2010. 70% of of players were not making it past level 10. But then 70% of new players in F2P games seem to leave right away. This entry was posted in entertainment, World of Warcraft and tagged No Real Point on July 10, 2014 by Wilhelm Arcturus. Back in the mid-to-late 90s, back when I was playing TorilMUD, there was a point when a couple of people had been caught cheating… multi-boxing or exploiting game mechanics or some such… and the game had to come up with punishments for such transgressions. The people who ran the at the time came up with a few levels of action, which included deletion of characters and banning people permanently. But the for the first offense rumor had it… rumor, because while the staff had policies about this sort of thing, they were not documented for the player base, but the whole community was small enough that word got around about nearly everything if you knew who to ask… that the punishment involved a choice. And, of course, as we sat around in experience groups chatting about this and that while waiting for the zone to respawn, this topic came up and we declared which choice we would take. Universally we opted for losing levels. In fact, in exploring this topic, I think we were in favor of being busted down to level 1 if we were allowed to keep out gear. Levels were replaceable, and in a game where there was experience loss on death… and level loss with enough deaths was a thing back then… working on experience and leveling up often continued for players at level cap. We had all been through the leveling process. We knew the ins and outs and could find groups. Leveling up was work, but work we knew how to do. Gear though… gear was a different story. This was a time where gear commonly had class, race, or alignment restrictions, but level restrictions were almost unheard of. And there was not such thing as attunement. 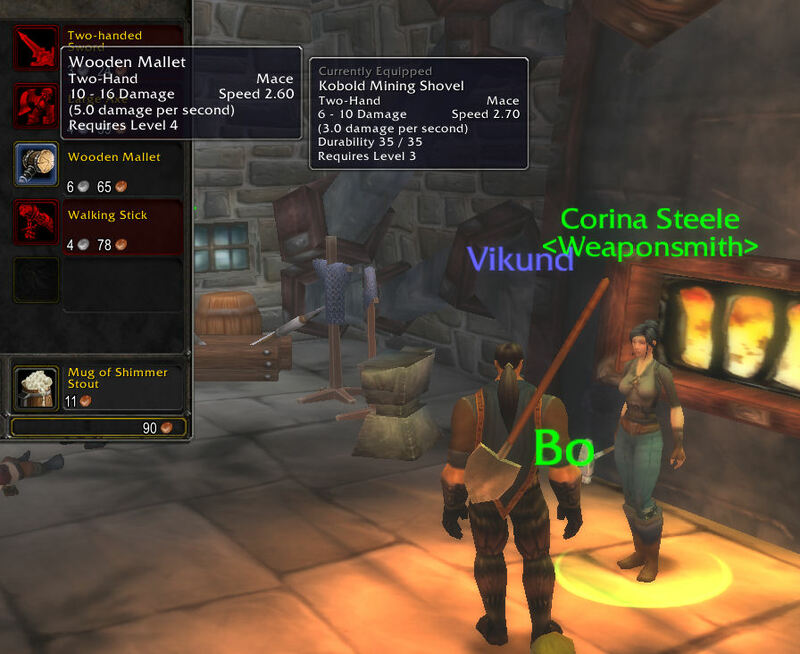 A rare item might be flagged as “no trade, and some items were “cursed,” which meant you could not drop them without somebody casting a spell on you, but most items could be traded to other players or handed off to low level alts. Plus gear often made your character… or made you character viable. If you had knocked my level 50 warrior back down to level 1 but left him with his gear, he would have torn his way back to level 40 in very little time solo. While being able to solo was generally over by level 20 for a fresh character, and alt with good gear could easily go to 40 and possibly to the level cap at 50 with the right outfit. Obtaining gear though… that was the hard part. 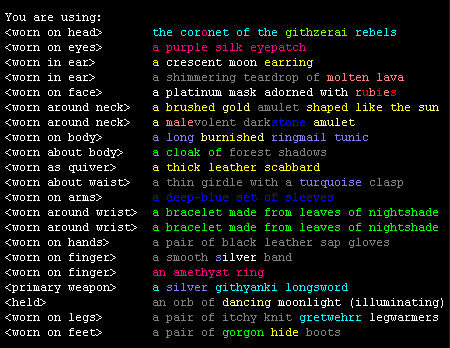 While a good proportion of items were on a given mob every single time, some were random. Of course, the better the item, the more likely it was to be random. And, finally, once you had completed a given zone, you had to roll on items. People would put in bids on a given item, numbers would be assigned to people, and a random roll would be done to determine who got the prized item. So you could get in a group, go through a successful run, and still end up empty handed and waiting for a reboot so you could try again. Of course, this doesn’t sound all that strange today. Sure, bind of pick up, gear attunement, and level restrictions on gear have axed the whole twinking of alts to a certain degree. But gear still rules, and there are still some twinking options, like heirloom gear in World of Warcraft. Rare is the MMORPG where gear is not a major focus. Sure, there is reputation, titles, mounts, pets, achievements and what have you, but gear does seem to drive people more than anything else. I went to Timeless Isle not so much because I needed something new to do but because it was an efficient way to gear up at level cap. I am past wanting to commit to raiding, but I still will seek out the best gear I can. And what happens when an MMORPG doesn’t focus so much on gear? We seem to bring our gear orientation with us all the same. Darkfall didn’t specifically de-emphasize gear, but with full loot of PvP victims in place, people sought to protect their good gear by going out to battle in cheap drops. Likewise, one of the main fears people have in EVE Online centers around loss. People with a gear orientation coming into New Eden can be quite discouraged by the fact that when your ship explodes it is gone and you have to buy a new one. The can often, abstractly, see the benefit of such a system. Destruction of ships drives the market, makes industry viable, and basically keeps the player economy going despite the game being full of magic sources of in-game currency like most other MMOs. And I must admit to letting out a resigned sigh when my own ship gets blown up. I’ve gotten past attachment to individual ships. You can always buy another just like it. And the ISK thing isn’t a big deal, especially when you are eligible for reimbursement. But actually getting a ship together if you don’t have a backup can be a pain. If their aren’t some on contract, you end up having to head to a trade hub, buying what you need, and then shipping it to where you want to use it. Again, an economic opportunity for some… shipping corps are a thing in EVE… but a bit of a pain if you want to do something but, instead, have to clone jump and spend a day in high sec buying parts and arranging transport. That is just the way it works when you need a specific ship with just the right fit. Because it all comes down to an obsession with gear in the end. This entry was posted in entertainment, EVE Online, TorilMUD, World of Warcraft and tagged Darkfall, No Real Point, Rambling Friday on Monday on June 23, 2014 by Wilhelm Arcturus. In partial fulfillment of Blog Banter #55, which fame in EVE Online. 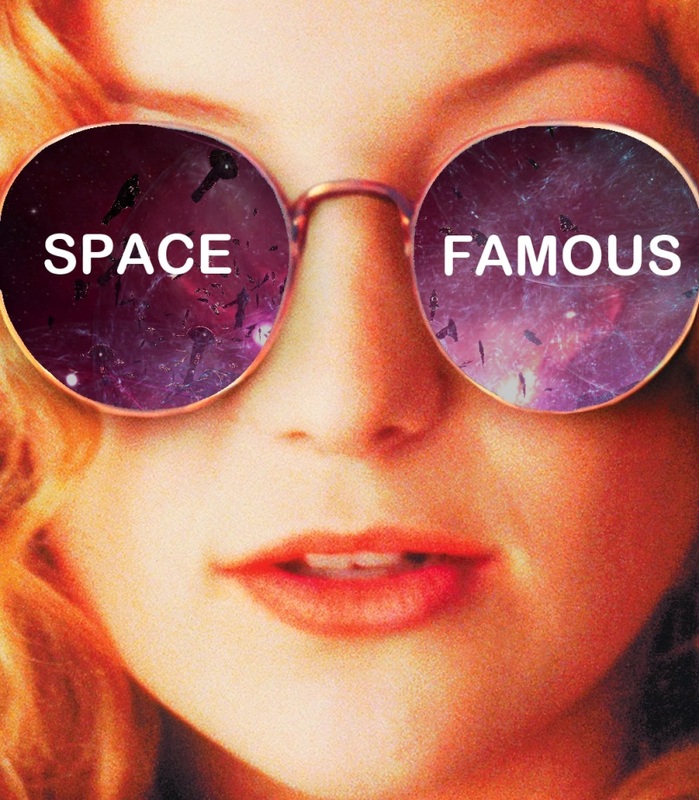 Write about somebody who is “space famous” and why you hate/admire them, somebody who isn’t space famous but you think should be or will be, or discuss space fame in general, what it means, how people end up so famous, is there a cost of being famous in EVE, and if so, is it worth the price? That is a pretty wide net. You can go most anywhere with that one. When I proposed this topic to Kirthi Kodachi back in September (*cough*) I actually had somebody in mind to write about, with a post mentally sketched out. And then time passed, other monthly topics were proposed, and since I never bothered to write down my notes my post disappeared to wherever thoughts and memories fade to when they are gone. Does science know what happens to the things I forget? Anyway, another reminder to always write things down now. I tell myself I’ll remember, and I never do. But here we are, my topic has been picked up for the blog banter this month, so I figured I had best have something to say about it. EVE Online is currently involved in ones of its measures of space fame, the elections for the 9th Council of Stellar Management. You have just one more day to vote if you are a subscriber. CCP tries to put a lot of emphasis on the importance of the CSM, to the point that you might legitimately question why would they would trust something of value to the whims of the player base? Other MMO companies have official player advocacy groups, but they have always been cherry picked by the companies involved. Turbine has been asking people to volunteer for its DDO and LOTRO player councils but they pick who gets on. SOE has had at various points throughout its history some sort of guild council or player advisory group, always by invite only. Blizzard has solicited the input of major raiding guilds over the years, but you had to be a major raiding guild that got their attention. So why does CCP go with a player election? But it is the very nature of EVE Online that allows something like a player election. The fact that the game really needs cooperation, which spawns corporations and alliances builds bonds. That it is a sandbox where PvP is always an underlying aspect of what you do makes your fellow player content, so you tend to know them or know who to avoid. That travel can be long, annoying, and dangerous tends to keep people focused on “their” part of space, so they get to know their neighbors. And the very difficult nature of the game, which seems disinclined to teach you anything by the most basic skills, means that new player have to seek the advice of others… both in-game and out… just to figure out how to do things. All of which leads to something like a community. And I am not talking about the fractured mini-communities that spring up in a game like WoW, where you can pretty much ignore the people you do not like and live in a happy little bubble. EVE Online is more like my neighborhood. I know some of the neighbors well, some are good friends, some are wave-from-the-driveway acquaintances, and some are just jerks. But they are all in my neighborhood so I make do, because I am not going to pack up my belongings, sell my house, and move to avoid a couple a block over that yells each other so loud that you can hear them with the windows closed or that guy with the circular saw that seems to think that 11pm on a weeknight is a good time to cut wood. I have lived enough places to know that such things come with the living in any sort of community. So, as I wrote before, when people talk about EVE Online having a horrible community, I often get the feeling that they are objecting to having a community at all. And clearly some people like to espouse the ideal of community while being intolerant of actually having one, or having one that is anything beyond happy agreement on all points. They don’t want any drama. But frankly, drama is what happens when you put people together. If you don’t have some drama, you probably don’t have a community. And if you don’t want drama, that is fine. Some people just want to play a game, hang with friends, and avoid all conflict. This is recreation time, and sometimes you just want to relax. But I am not sure you can go that route and then complain about a lack of community without looking like you don’t really know what community is. Anyway, it is this stewpot of things that allows people to become known or famous in the EVE community. And while there are people who are clearly infamous, I am not sure that is as cut and dried as some would make out. The Mittani is space famous, primarily for being the leader of a large alliance in game. You may not like him, but a lot of people do… or he would be running that alliance and accepted as the head of a coalition of alliances… so does that make him famous of infamous? Likewise, you could make claims of fame or infamy for Gevlon. He showed up in EVE Online and got noticed fairly quickly by injecting himself and his opinions into the community. He rambled about doing various things, eventually deciding to become the nemesis of Goonswarm in high sec space. I am not sure a lot of people like Gevlon… or that he cares really… but he has become a staple of the EVE community in something like a year of effort and is clearly space famous at this point. Compare that to his years playing World of Warcraft, where I doubt he was known at all beyond a the blogging community and a small group of players on his server. But why would he be? In WoW you cannot really have an impact on other player if they do not want you to. They can ignore you, move to a different zone or server or whatever. EVE is much more like my neighborhood, for good or ill. You get known for what you do, if you do anything at all. And even in EVE, space fame doesn’t make you as famous as one might think. There are always people moving into the game or who are fixated on their own little out-of-the-way corner of space who never really run across anybody else. But the potential and ability to become space famous is one of the defining aspects of EVE Online, and all the more so because so much of what happens in the game depends on the actions of individuals which become the lore of the game. You can become known to the community through your own efforts in a way you cannot in games like WoW or EverQuest or GuildWars 2 or whatever PvE focused game you choose name… or any randomly matched PvP game as well. Which doesn’t make EVE Online better or worse than these other games, it just makes it different and gives it its own flavor. This entry was posted in entertainment, EVE Online and tagged Blog Banter, Meandering, No Real Point on April 21, 2014 by Wilhelm Arcturus. The micro-transaction is so strong and it’s definitely a much better model. I think all companies have to transition over to that. IGN is becoming the place to talk about free to play and micro transactions. And King.com, the new Zynga, certainly has reason to support that point of view. They are making a lot of money and, true to Tommy’s word, you can “win” Candy Crush Saga without paying. But they are also monetizing frustration, as has been pointed out by Laralyn McWilliams, which I am not sure gets them a lot of love. People defend King.com by pointing out that a lot of people play through the whole game without paying or by noting how much money they make. But I do not see many F2P advocates examining their monetization scheme (Laralyn McWilliams aside) and asking if that is the best approach. The monetizing of frustration aside… which alone has kept me from giving a damn about any other game King.com has made… there is the question of buying progress. Buying my way out of a level with their boosts… and as far as I can tell, there are no levels you cannot win on the first try if you have spent enough money… feels a bit like cheating. It is like dealing out a hand of solitaire and then giving somebody $1.99 to tell you it is okay to re-arrange the cards so you win any given hand. I would say that is, in essence, pay to win, except you are not actually playing against anybody but yourself, so I am sure somebody would take me to task. So maybe it is more like pay to skip playing, in which case why bother playing? 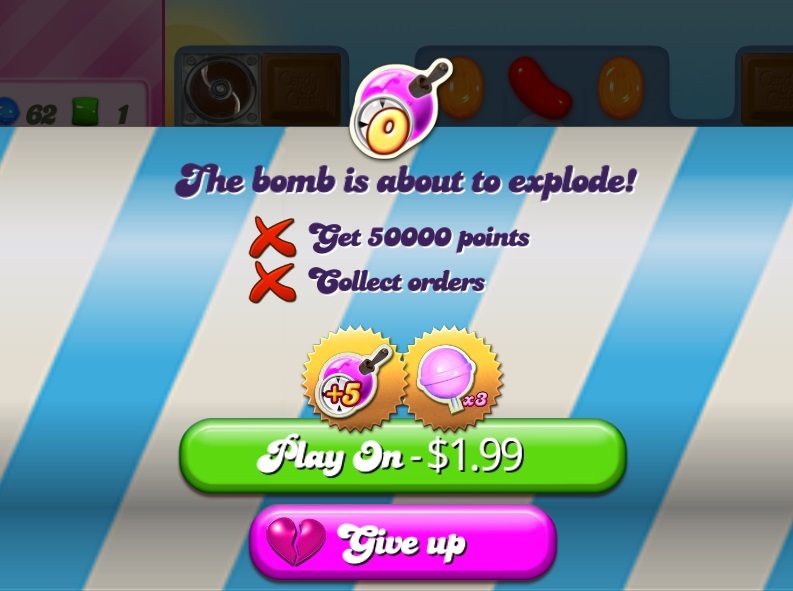 That might explain why only 30% of players who beat Candy Crush Saga paid any money. Where is the feeling of victory or the bragging rights if you paid your way through the tough bits? Or to flip that around, I wonder how many of that 30% would admit to paying? Sure, King.com knows they did, but would they tell their friends? Anyway, you might excuse Tommy’s exuberance because of the corner of the market he is in and how much money his company is raking in. They have likely spent more on TV ads for Candy Crush Saga than they did on actually developing the game initially. But we also had David Georgeson talking about all games being free to play as well, and he definitely lives in a world where there is a lot of development expenses before you can start ringing up microtransaction dollars. We’re effectively street performers: we go out there and sing and dance and if we do a good job, people throw coins into the hat. And I think that’s the way games should be, because paying $60 up front to take a gamble on whether the game is good or not? You don’t get that money back. This is, of course, the utopian ideal, the big upside to the whole free to play thing, the idea that you only shell out money for what you like. And I can certainly find examples to support this idea. I spent a lot of money… bought the collector’s edition and a lifetime sub… on Star Trek Online, which ended up being a game I really didn’t enjoy playing. A big fail on my part. In comparison I spent no money at all on Neverwinter, which also ended up being a game I really didn’t enjoy playing. But at least it was only time invested. Those, however, are both negative examples. Games where I was better, or would have been better off, with free to play. But when it comes to the whole persistent world MMO genre, of which I am a big fan, I do not have any real positive examples where a free to play game really sold me. Sure, I have played a lot of Lord of the Rings Online, even after they went F2P, and I was enthusiastic about EverQuest II Extended when it first showed up. But those were converts from the old subscription model into which I had invested and I have had my ups and downs with both. I think I am done with EQII, and if I return to LOTRO again, it will be because of Middle-earth and despite the microtransaction in every window nature of their business model. So, while I am okay with microtransactions in many forms… I have enjoyed games like World of Tanks and War Thunder, and I think the iOS version of LEGO Star Wars has a great model where you get the base game and a few levels for free, then can buy additional content if you like the game… it doesn’t seem to work for me in certain areas. The money-where-my-mouth is proof is the persistent world MMOs I am currently playing, World of Warcraft and EVE Online. Fortunately, as small as the world of game development may seem, it still encompasses a broad spectrum of opinions on many subjects. So while some are gung-ho on F2P, others are sticking with older models. The Elder Scrolls Online just launched as a subscription model MMO, and WildStar plans to later this year. Maybe EverQuest Next or Landmark or something else will change my mind, but for now I seem happiest with the alleged outdated model. There is no one true path, and I always wonder and people who make declarations in defiance of that. The industry cannot even decide on DRM. We have had industry voices wondering while companies bother, yet just this week Square Enix was saying that DRM is here to stay. Meanwhile, I hope we’re all spending our dollars on things we actually enjoy playing. This entry was posted in entertainment, Quote of the Day, Sony Online Entertainment and tagged Candy Crush Saga, Free-To-Play, No Real Point on April 17, 2014 by Wilhelm Arcturus. MyDream is to do What to Minecraft? First there was Minecraft, as it was good. Or many people thought it was. It flourished and blossomed and jumped to different platforms and generally made Notch and his company quite a large pile of money. It never really appealed to me, but I could still see the magic. It was open and allowed you to do many, many things. My daughter played it quite a bit, including on a PvP server. I didn’t even know that was possible until she showed me. Of course, where money flows, so do copy cats. There were knock-offs like CastleMiner. And, as time went by, bigger and more sophisticated players started into the market with their own spin on the Minecraft idea. SOE’s Landmark is one and Trion’s Trove is another, both of which have a look and feel that sets them apart from mere clones of the original. I know there are other examples out there, but since the genre really doesn’t do much for me, their names tend not to stick with me. Fill in the blanks for me, because my writing things like, “And that one that people keep mentioning” doesn’t really work so well. But even with all of that, there seemed to be room enough in the market. Actually, it was (Minecraft killer), in parentheses, but it was right there in the subject line of the email. And I actually groaned aloud upon reading that. I groaned because I have lived through the age of the quest for the WoW killer. Did I say “lived through?” I meant “live in,” since if you Google “WoW killer” you will see that the quest is still alive and well and crushing souls. Still, I had to wonder who would have the audacity to make such a claim. So I went to the Kickstarter for MyDream (which I mentally read as “MyDream is to KILL Minecraft! !1”) to see who was standing up to slay the beast. To the company’s credit credit, the Kickstarter page doesn’t actually say “Minecraft killer” anywhere. Neither does the actual press release. I suspect that the injection of the phrase into the subject line came at the insistence of their PR person and does reflect the elevator pitch mentality of our society today, where you cannot describe something from the ground up, so you have to jump straight to associations like, “Think ‘Sleepless in Seattle’ meets ”Aliens! '” or some such. And, reading through the Kickstarter, the whole thing sounds much more like SOE’s Landmark, which I would imagine is neither well known enough nor far enough along to have attracted a “killer” yet, than Minecraft, with a bit more emphasis on creating content. Think Landmark meets Neverwinter’s Foundry… if you must. The MyDream team is currently working on a leveling system based on the novel idea helping others. We would like to eliminate hating, griefing and other forms of abuse that run rampant in other MMO’s. By creating a reputation system that promotes cooperative team play and honest rating of others, we assure a self-policing positive environment for all. I suppose I am a product of my environment, which does include EVE Online. But rare is the multiplayer game where I haven’t seen some amount of bad behavior exhibited simply because it could be done. Anyway, I thought I would bring this up because… urm uh… I’ve forgotten now. I don’t plan on pledging or even playing. Variety? Something about “Minecraft killer” possibly? Or maybe because their office is just up the road in Palo Alto. Go local devs. This entry was posted in entertainment, Kickstarter, Landmark, Minecraft and tagged MyDream, No Real Point on March 13, 2014 by Wilhelm Arcturus.